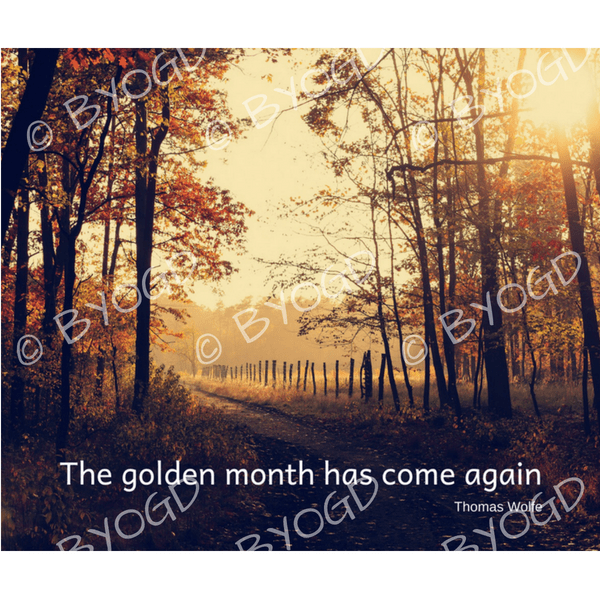 Quote image 193: The golden month has come again - Thomas Wolfe. Motivational and inspirational royalty and copyright free posts for your own social media, Facebook, Twitter, Pinterest, Instagram. Choose either Pay-As-You-Go, a monthly or annual subscription. Join our FREE Facebook Group for great hints, tips and training! Join our FREE Facebook Group!